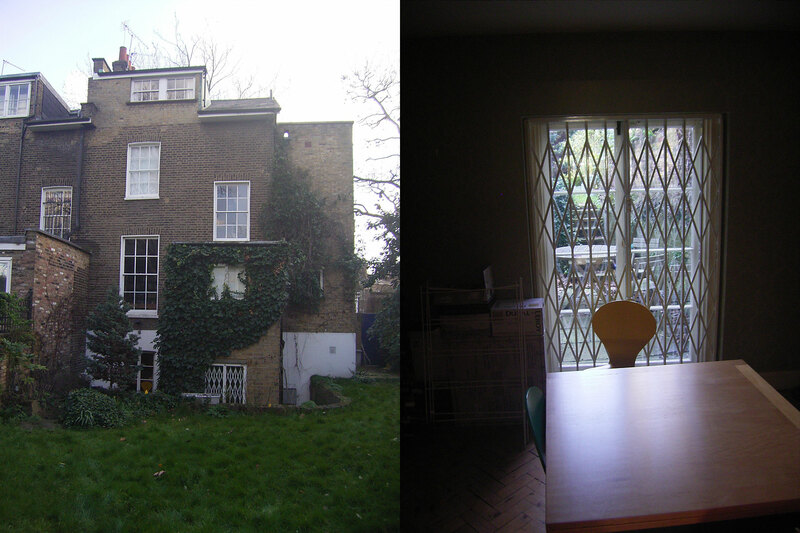 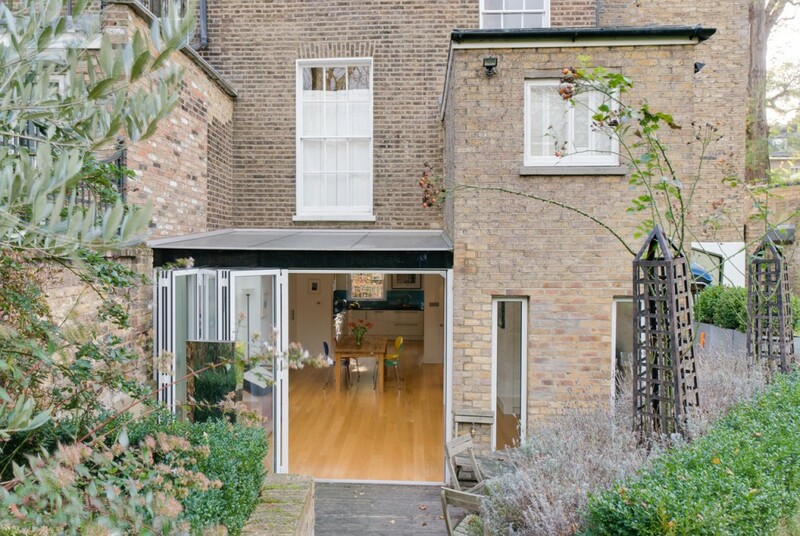 Located in the Canonbury Conservation Area, the basement of this early Victorian North London semi-detached house consisted of a series of small dark rooms. 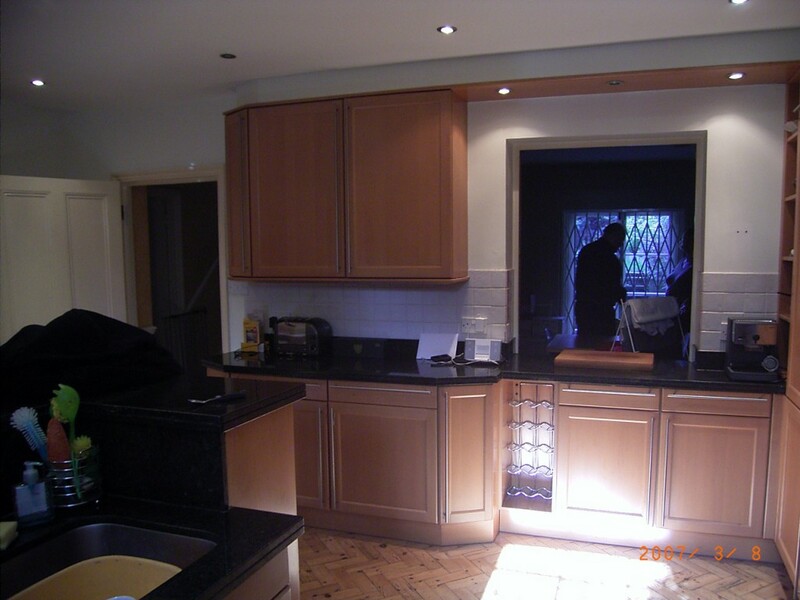 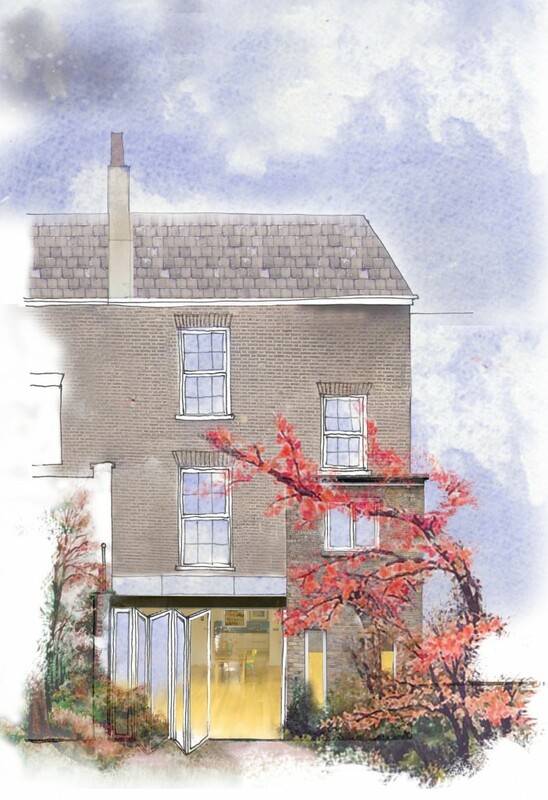 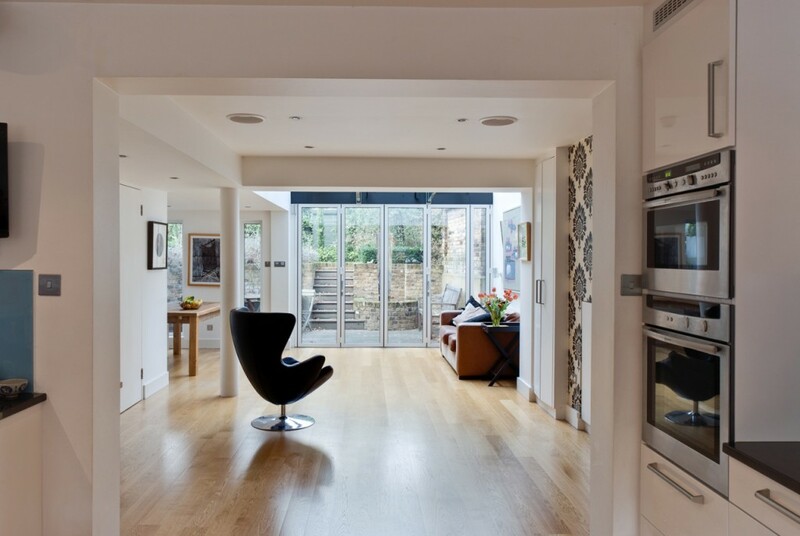 We were asked to create a light, open plan kitchen and family room. 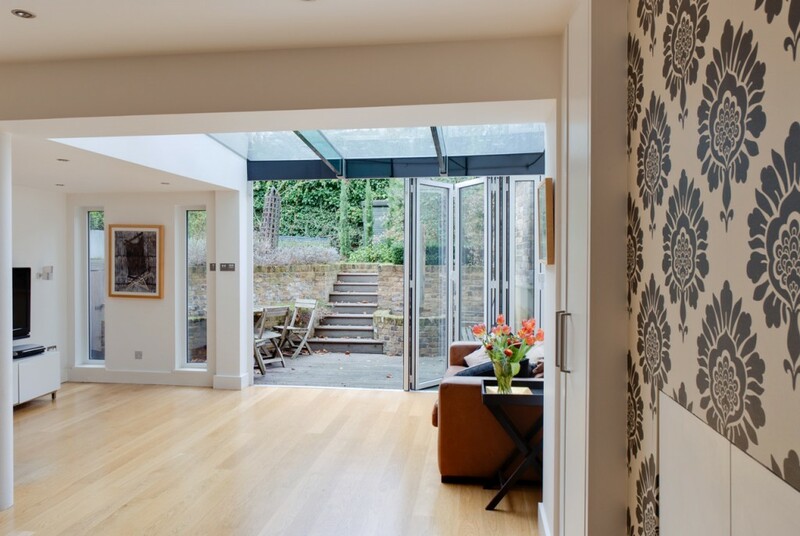 Internal and previously external walls were removed in order to create an open floor plan with glass doors opening onto the patio and garden, linking inside and outside, thus extending the family area. 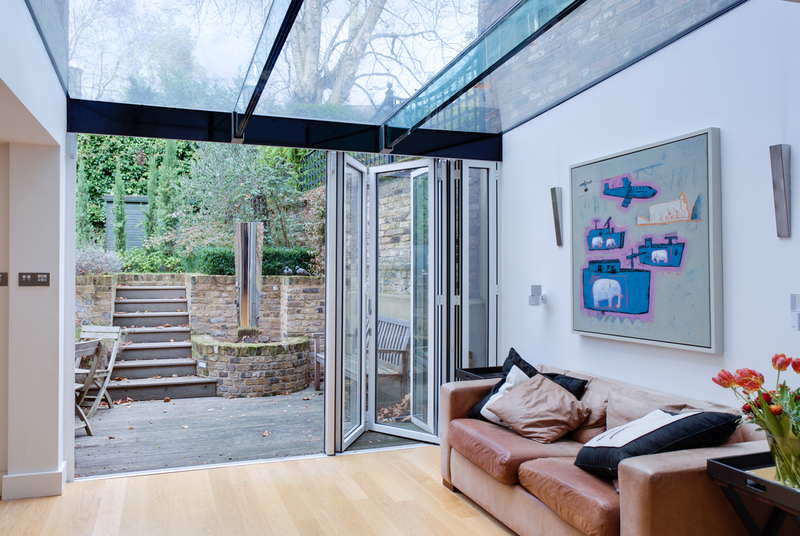 A glazed roof area introduces even more light into the space.